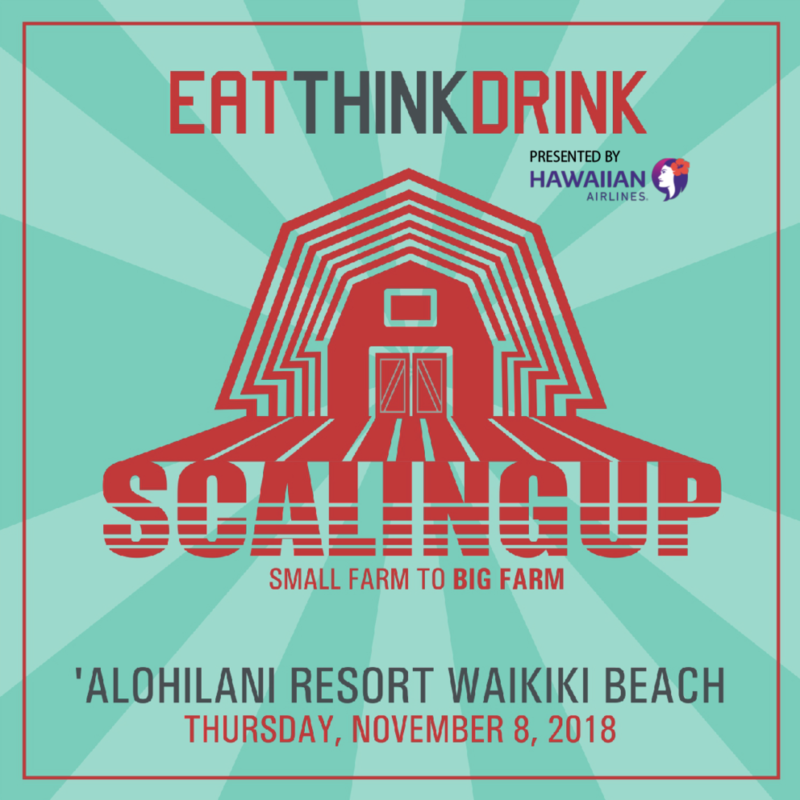 The Hawaiʻi Agricultural Foundation presents EAT THINK DRINK: SMALL FARM TO BIG FARM—SCALING UP, our upcoming event that explores and examines the growing demand for locally grown food, and how small and large farming businesses can leverage opportunities to scale up their operations with innovative technology to meet the demand. This episode of EAT THINK DRINK will feature a keynote presentation by Eric Pond, a Principal of Sustainable Agriculture Sector at Equilibrium Capital Group, LLC in Portland, Oregon, and a discussion with panelists Fred Lau from Mari’s Gardens, Dana Shapiro from Mala Kalu‘ulu and Janel Yamamoto from GoFarm Hawai‘i. Kamuela Enos from MA‘O Organic Farms will moderate and introduce this year’s Mahiʻai Matchup-GoFarm winner! Enjoy an evening of engaging conversation and networking while you sip and savor delectably crafted drinks and island fare made from local ingredients. Mark you calendar and watch this space for more details. Tickets go on sale soon!